The Archaeological Museum of Corfu in Corfu, Greece was built between 1962 and 1965. 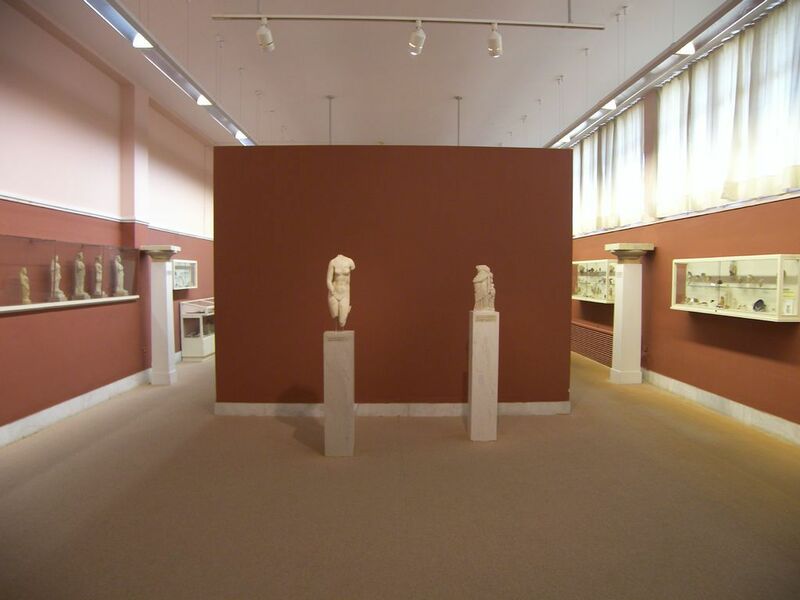 The museum land was donated by the city of Corfu. 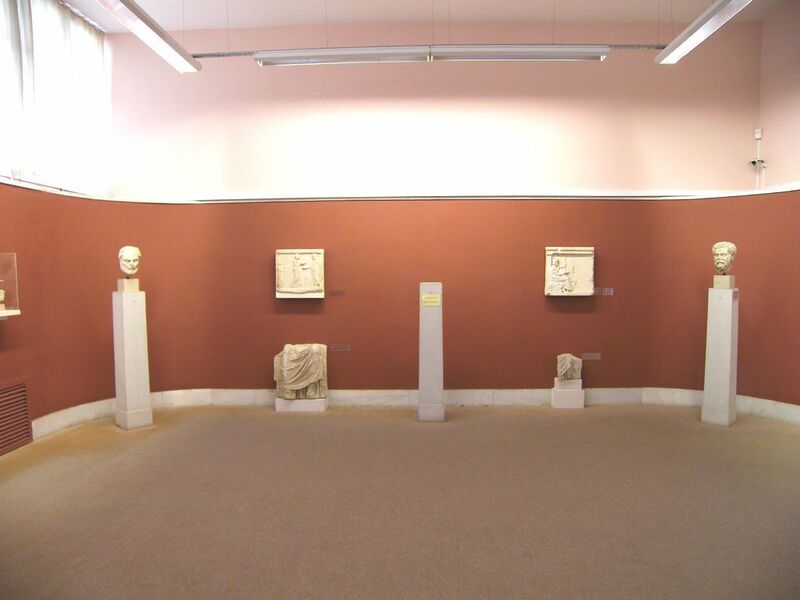 Its initial purpose was to house the archaeological finds from the Temple of Artemis in Corfu. 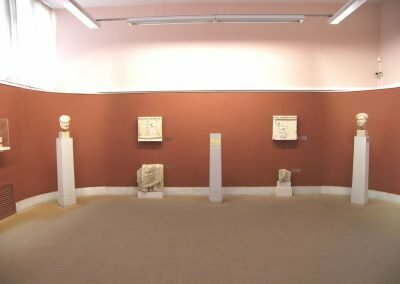 In 1994 it was expanded with the addition of two more exhibit halls that display the more recent finds at the ancient citadel of Corfu. 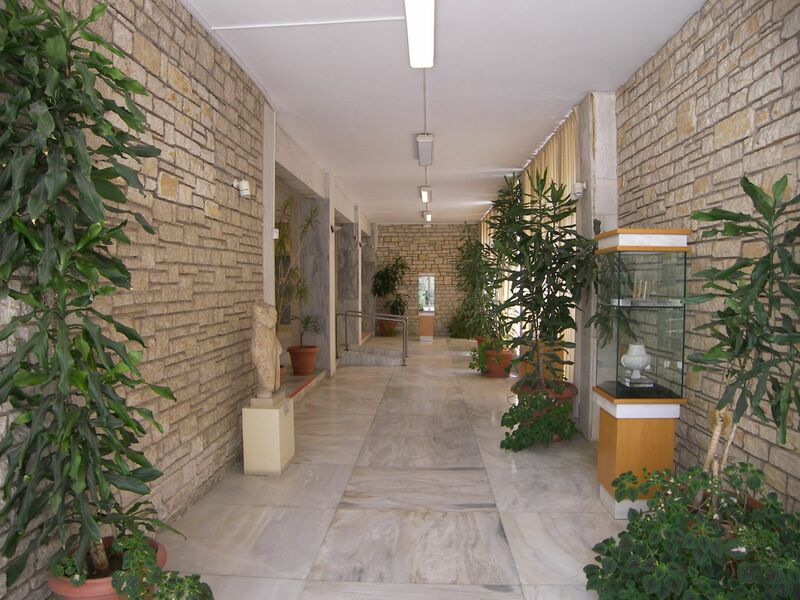 It is located on 1 Vraila Armeni St.
A marble torso of Apollo. 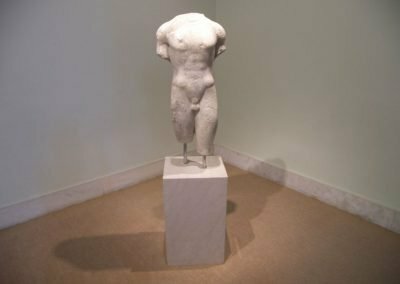 This is a copy of the original statue of “Parnopios Apollo” created by Pheidias (its type is known as the “Kassel Apollo”). 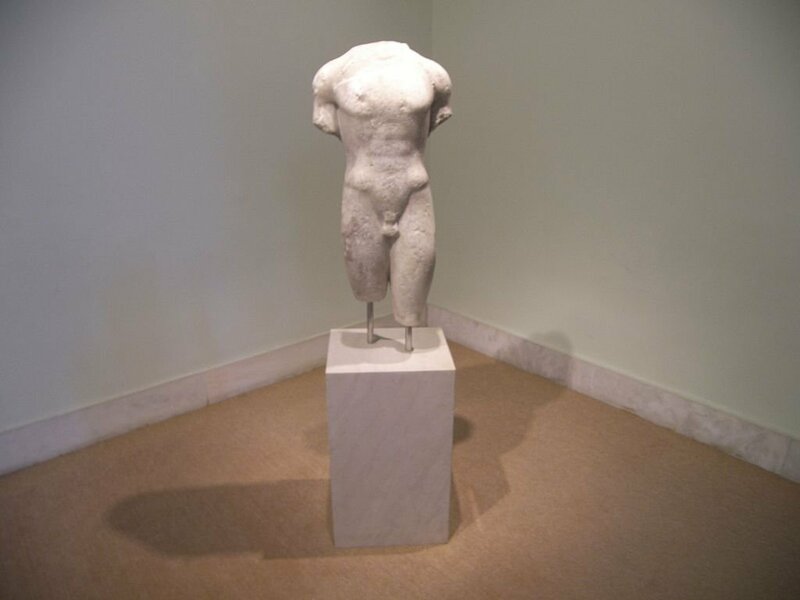 Dated to the 2nd century AD. 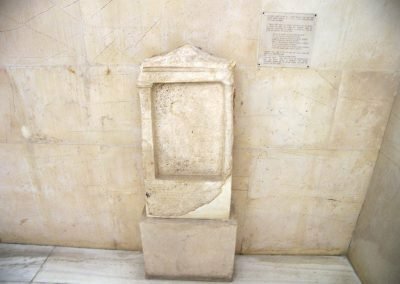 Funerary stele of Philistion daughter of Agenos and Arpalis, with the approximately translated inscription as: Greetings Philistion. 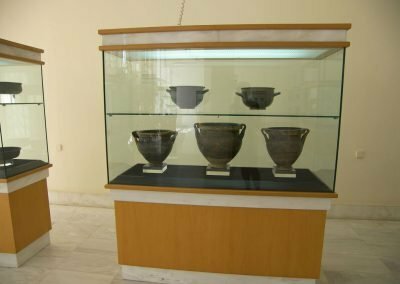 You went twenty three years old in the underworld and left your mother Arpalis in mourning, your husband Aristandros widower and confused, and the children cold as orphans. [You], the glorious blood of Agenos, having chosen for yourself the last sleep, this bitter, pitch-dark tomb has accepted you [in the dust]. 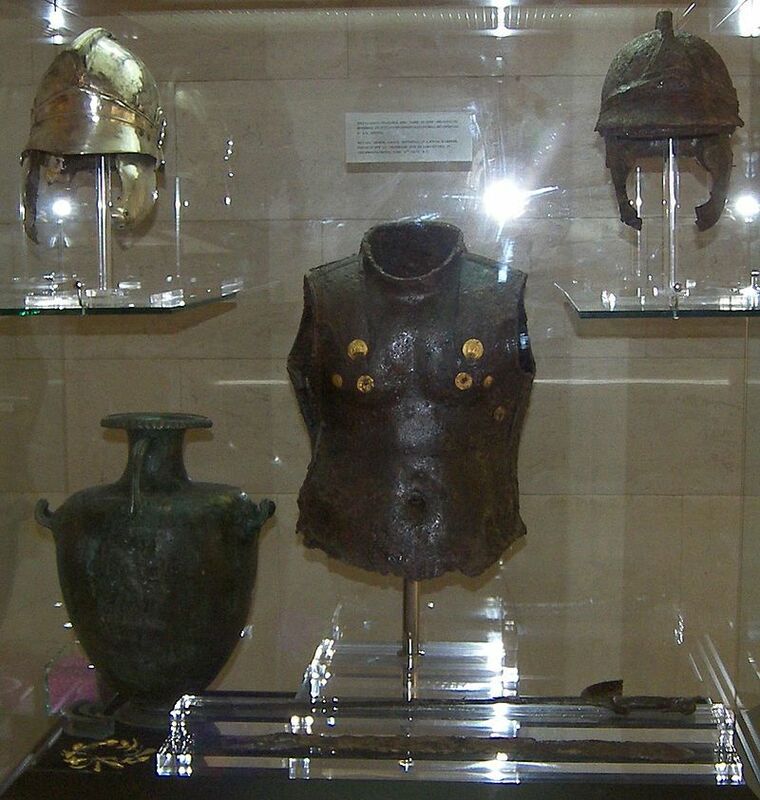 Hoplite armour exhibit. 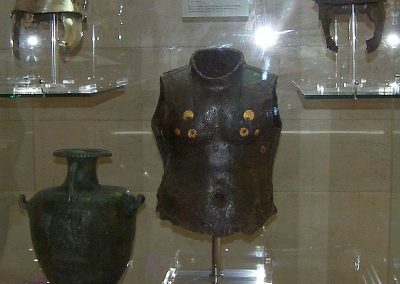 Note the gold inserts around the chest area of the bronze upper torso plate at the centre of the exhibit. 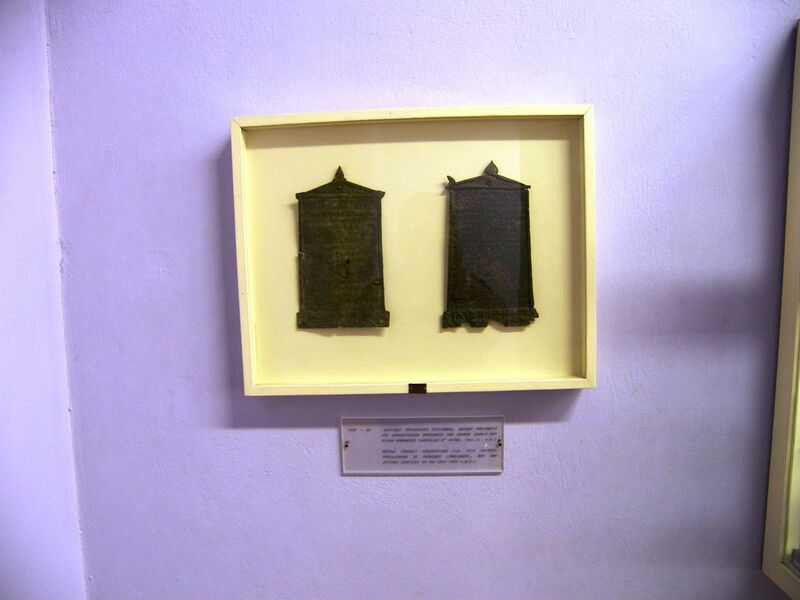 The helmet on the upper left is a restored version of the oxidised helmet on the right. 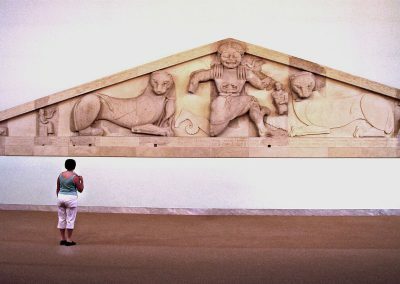 Pediment with Dionysos at the Corfu Museum. 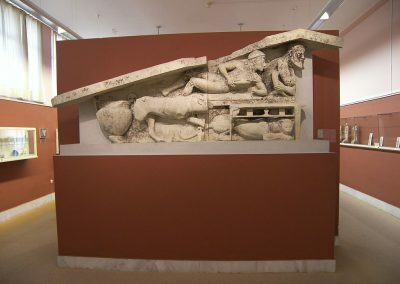 Left part of an Archaic pediment from the area of Figareto. 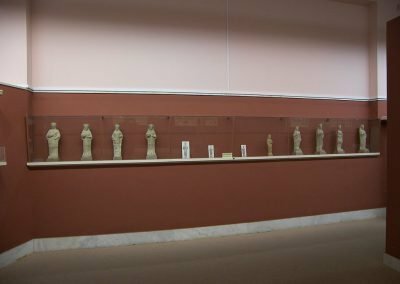 It depicts a Dionysiac symposium. 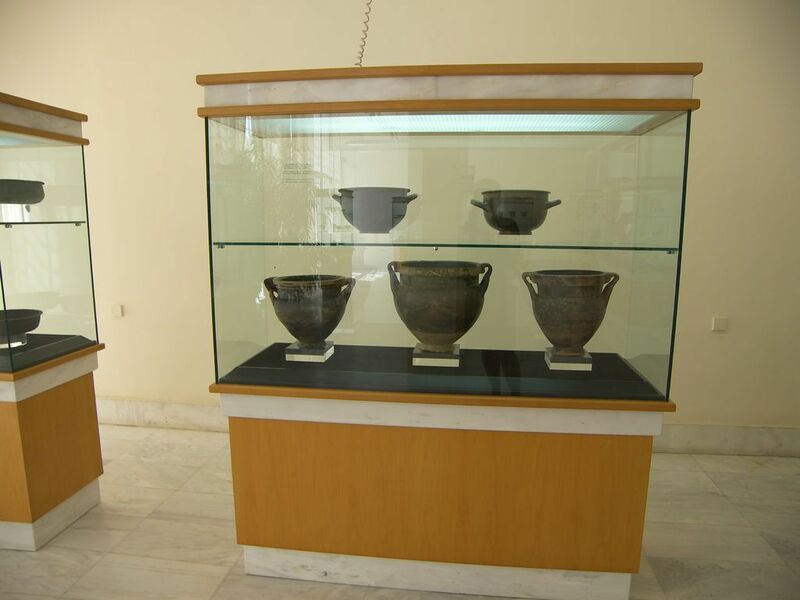 Dated to 500 BC. 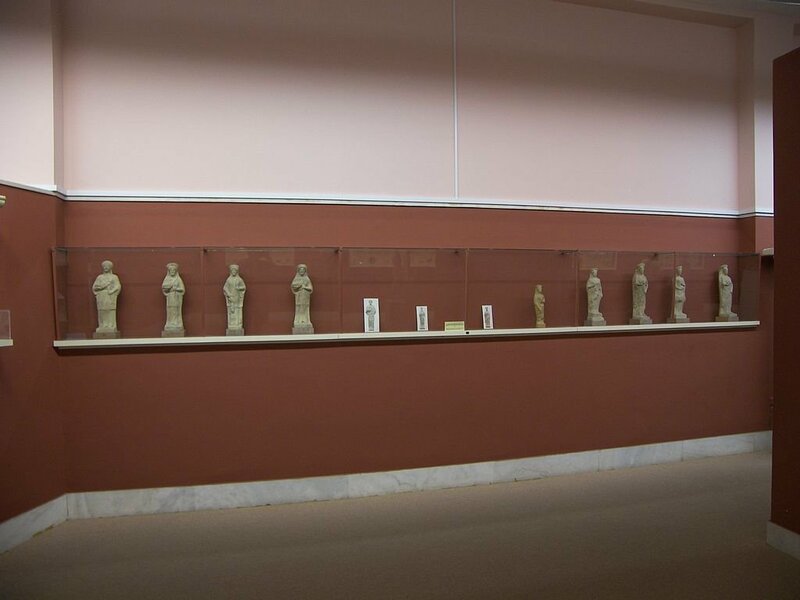 Exhibit of some of the terracotta statuettes of Artemis. 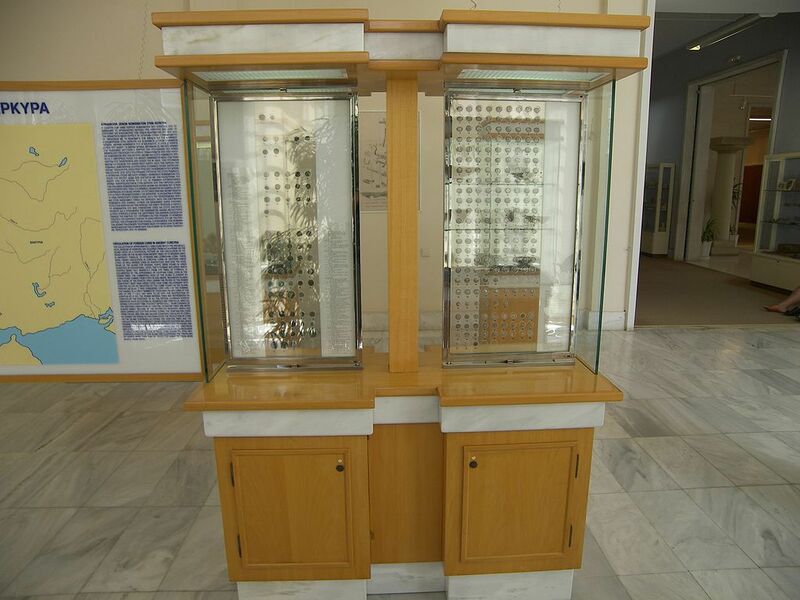 They were found in large quantities in the small temple of Artemis at Kanoni in Corfu city. 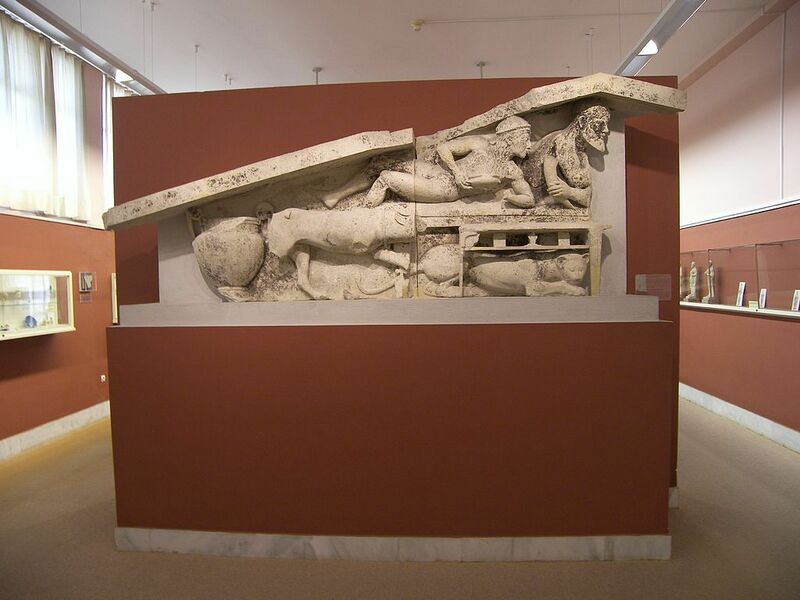 Funerary stele with inscription: You went twenty three years old in the underworld and left your mother Arpalis in mourning, your husband Aristandros widower and the children orphan. 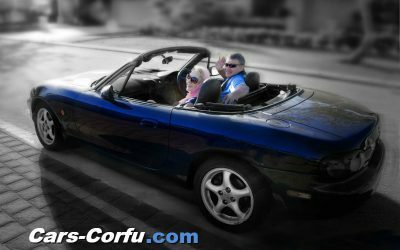 You chose for yourself the last sleep. 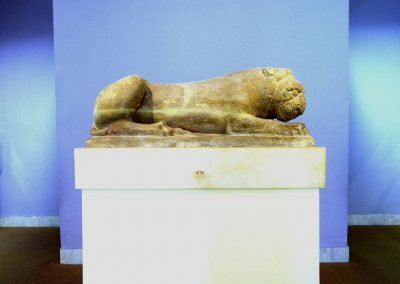 The Lion of Menecrates. Funerary statue of a crouching lion, found near the cenotaph of Menecrates. This is the work of a famous Corinthian sculptor of the Archaic period. 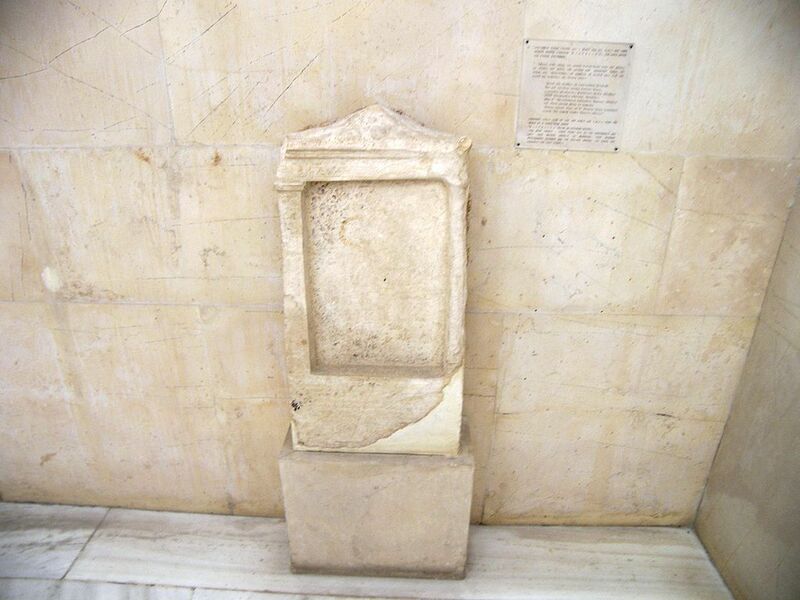 Dated end of the 7th century BC. 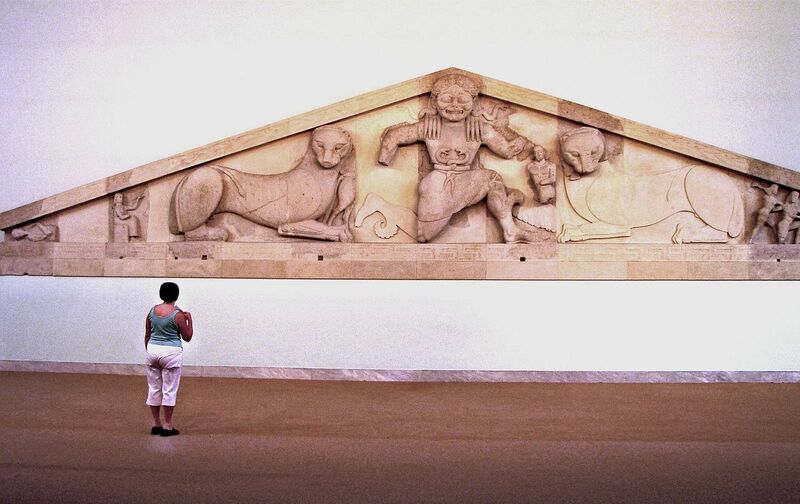 The Gorgon as depicted on the western pediment from the Artemis Temple of Corfu, on display at the Archaeological Museum of Corfu.